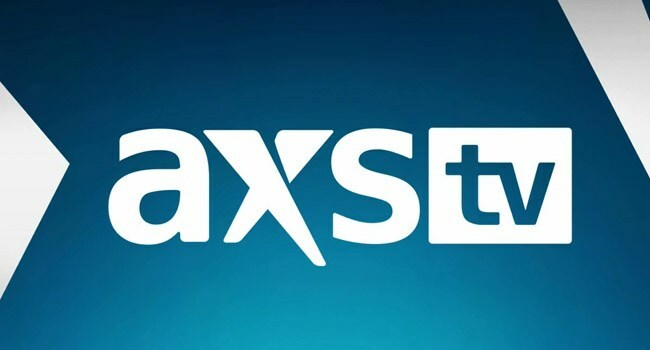 AXS TV offers thanks for excellent music this November, with a cornucopia basic live shows, documentaries, tributes and extra, airing each weekend as half the community’s Saturday Stack programming. Bruce Springsteen kicks issues f on November third, blazing via a career-spanning set that features “Darkness On The Edge Of Town,” “Badlands,” “Dancing In The Dark,” and “Born To Run” in Bruce Springsteen & The E Street Band Live In Barcelona at midday ET & 5:30 pm ET. Then, The Boss’ greatest followers focus on the affect his music on their lives in Springsteen & I at three pm ET & eight:30 pm ET; and E Street Band guitarist Steven Van Zandt remembers the proudest moments his profession on The Big Interview at four:30 pm ET. Spend the day with a crop cowboy crooners on November 10th, beginning at 1 pm ET as nation stars Kenny Chesney, Wynona Judd, Randy Travis and extra come collectively to have fun George Jones in George Jones: 50 Years Of Hits. Next, Keith Urban discusses his highway to fame on The Big Interview at three pm ET; Dierks Bentley has a homecoming for the ages in Dierks Bentley Live From The Ryman Auditorium at four pm ET; and Toby Keith shares his secret to success on The Big Interview at 5 pm ET. Then, Tim McGraw delivers a hit-packed set at 6 pm ET; adopted by a night with George Jones at 7 pm ET. The evening ends with Alan Jackson within the intimate prile Small Town Southern Man at 9 pm ET, and rolling into Colorado within the particular 25th Anniversary occasion Alan Jackson: Keepin’ It Country – Live At Red Rocks at 10:45 pm ET. Saturday Stack honors folks heroes Joan Baez & Bob Dylan on November 17th, opening with a star-studded salute to Dylan that includes performances by Neil Young, Stevie Wonder, George Harrison, Johnny Cash, Tom Petty, and extra in Bob Dylan: The 30th Anniversary Concert Celebration at 9 am ET & three pm ET; and Dylan collaborators The Band mirror on their sophomore masterpiece in Classic Albums: The Band at midday ET & 6 pm ET. Next, Joan Baez discusses her romance with Dylan and her choice to cease touring on The Big Interview at 1 pm ET; earlier than taking the stage to carry out “Diamonds & Rust,” “Lily Of The West” and extra at 2 pm ET & 7 pm ET. Then, expertise the peace and love motion in Summer Of Love 1967 at eight pm ET; adopted by Martin Scorsese’s chronicle Dylan’s early years in No Direction Home: Bob Dylan at 9 pm ET. And, on November 24th, Saturday Stack pays tribute to the late icons who modified music without end, starting with a deeply private have a look at reggae pioneer Bob Marley within the 2012 documentary Marley at 9 am ET. Next, at midday ET, head into the studio for a have a look at one Jimi Hendrix’s most formidable works in Classic Albums – Jimi Hendrix: Electric Ladyland; then, discover the unbelievable lives, tragic ends, and enduring impacts music’s most necessary artists in The Day The Rock Star Died, that includes Jimi Hendrix at 1 pm ET, Janis Joplin at 1:30 pm ET, Whitney Houston at 2 pm ET, and Jim Morrison at 2:30 pm ET; and surviving members The Doors focus on the band’s seminal self-titled debut in Classic Albums – The Doors at three pm ET. The day continues with a pair specials devoted to the Man In Black, that includes The Day The Rock Star Died: Johnny Cash at four pm ET, and an all-star tribute with performances by Willie Nelson, Sheryl Crow, Kris Kristferson and extra in We Walk The Line: A Celebration Of The Music Of Johnny Cash at four:30 pm ET. Then, the King Of Rock and the King Of Pop reign once more in Classic Albums – Elvis Presley at 6 pm ET, The Day The Rock Star Died: Elvis Presley at 7 pm ET, and The Day The Rock Star Died: Michael Jackson at 7:30 pm ET. And soulful songstresses shine in Rock Legends: Amy Winehouse at eight pm ET, and The Day The Rock Star Died: Janis Joplin at eight:30 pm ET. The block concludes with Tom Petty’s hometown return, rocking Gainesville in an unforgettable set that includes “Runnin’ Down A Dream,” “Don’t Come Around Here No More,” and duets with Stevie Nicks in Tom Petty – Live From Gatorville at 9 pm ET, and The Day The Rock Star Died: Tom Petty at 11:10 pm ET; adopted by encore shows We Walk The Line at 11:40 pm ET, The Day The Rock Star Died: Johnny Cash at 1:10 am ET, Rock Legends: Amy Winehouse at 1:40 am ET, and The Day The Rock Star Died: Michael Jackson at 2:10 am ET. Next Peverelist to challenge unreleased observe from 2008 on subsequent Punch Drunk 12"